We recommend using the EZConnect Connection Manager for accessing our VPN service. If you’d like to manually configure Windows XP the following guide shows how to setup an OpenVPN connection. If you have any questions about setup please contact our support team. 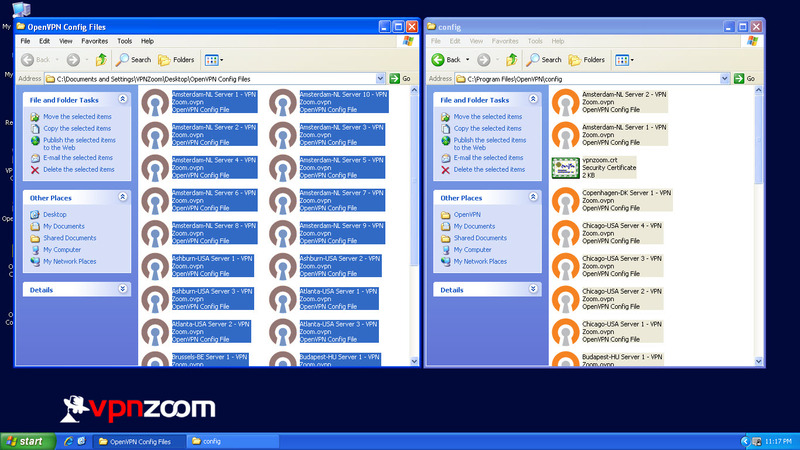 Step One: Visit https://openvpn.net/index.php/open-source/downloads.html to download the version of OpenVPN GUI client compatible with your version of Windows XP. Step Two: Launch the installer to setup the OpenVPN GUI client. Step Three: At the end of the installer tick the “Start OpenVPN GUI” box and untick “Show Readme”. 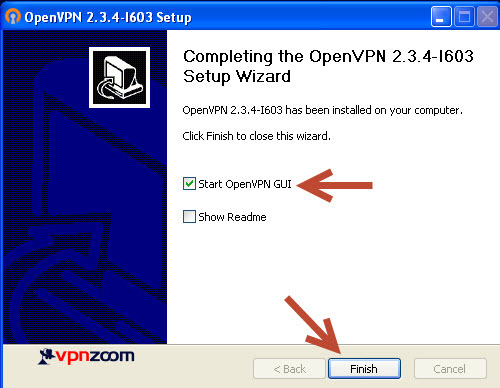 Step Four: Now visit https://vpnzoom.com/openvpn-config/ to download the OpenVPN configuration files and the vpnzoom.crt file. Step Five: Extract the ZIP file and place all configuration files and vpnzoom.crt file in the “C:\Program Files\OpenVPN\config” directory. 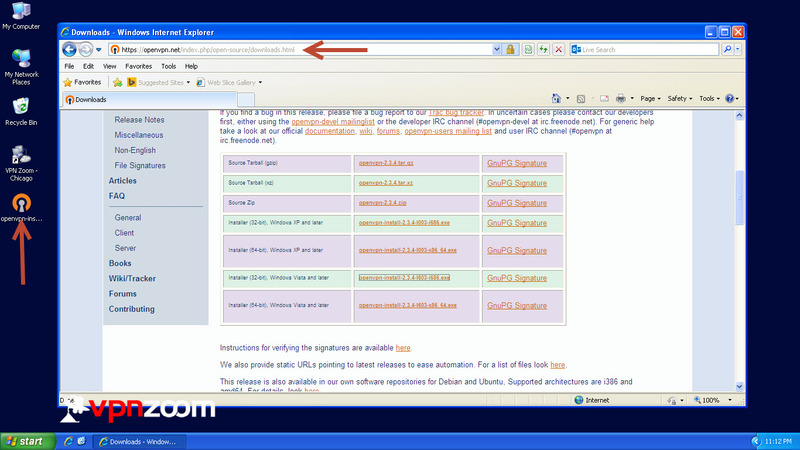 Step Six: Right click on the OpenVPN GUI client icon down in the system tray by the clock and hover over the server you would like to connect to. Then click on “Connect”. 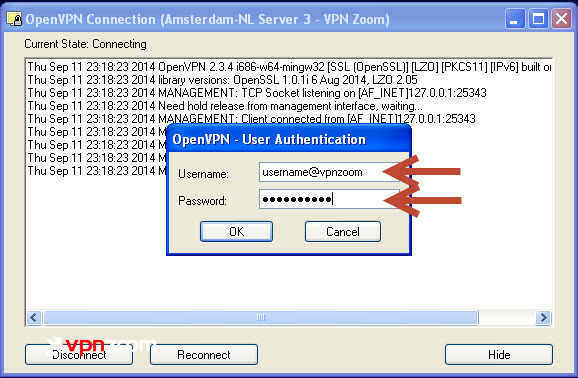 Step Seven: Enter your VPN Zoom username and password. Note: All VPN Zoom usernames end with @vpnzoom (ex. username@vpnzoom). After entering your username and password click on OK. Step Eight: You are now connected to our servers via OpenVPN. You can now browse the Internet anonymously.